Moosejaw offers a variety of outdoorsy goods and apparel for men, women, and kids for every outdoor activity you can imagine. A slew of jackets is available including fleece, insulated, down, softshell, and technical. Find jackets for activities ranging from yoga to snowboarding. You’ll also find waterproof and windproof jackets. Plus, browse camp gear and accessories to keep you covered such as sunglasses and hats. When you take to the great outdoors, it’s essential that you’re prepared to keep yourself safe. All that gear can cost quite a bit of cash. Moosejaw can help you out with all the outdoor items you need whether you’re going on a hike or going camping for several days. 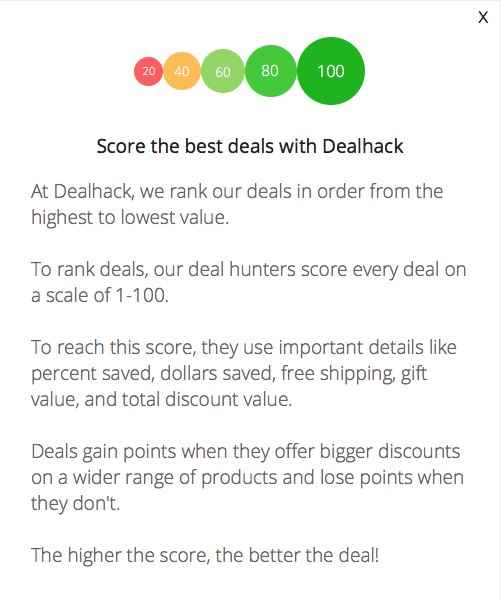 The team here at Dealhack can provide you with all the Moosejaw coupon codes you need to get your products at a discount. When it comes to clothing, you’ll be hard pressed not to find what you’re looking online at Moosjaw. Moosejaw offers sweatshirts, pants, shorts, dresses, sweaters, pants, pullovers, boxers, and more. You’ll also find plenty of types of footwear. Find sandals, rain boots, slippers, overboots, sneakers, and barefoot shoes. Shop today to save money on all the camping gear you need. Find gear for freezing temperatures that go to forty below. Furthermore, find items for the heat. Bunking down with 5 or more people in warm weather can be uncomfortable if you aren’t prepared. Find items for climbing, fishing, kayaking, and rafting. Plus, skiing and snowboarding gear is also available. Considering you have to get all your gear around somehow, travel bags are up for grabs as well. All the available products can result in quite the shopping spree. It’s a good thing there are many ways to save money at Moosejaw. Check out their sale and outlet sections where you can buy items that are marked down in price. You can earn rewards points to use toward future purchases when you join the Moosejaw Rewards program. Free shipping is available on orders that are $49 and up. Plus, if you spend $79 or more, you qualify for free 2-day shipping. But the best way to save money, of course, is by using a Moosejaw promo code from Dealhack. Moosejaw connects with others who love the great outdoors on social media. Follow Moosejaw on Twitter, Pinterest, Instagram, Facebook, and YouTube. Follow them the stay up to date on all the latest “Moosejaw Madness.” If you have any questions for the Moosejaw team, they can be reached at 1-877-666-7352 or on their contact page. Shop in the outlet section to save 30-80% off fantastic gear from Moosejaw. Moosejaw has a lifetime return policy. You can return anything that hasn’t been washed or worn with a proof of purchase. Within six months of receipt, returns are credited, after that, you receive a Moosejaw e-Gift Card. Sign up for the Moosejaw rewards program for free and earn points for every dollar you spend. Moosejaw will match any price for an identical product you find online. If it’s over $100 and the price difference is greater than $1, Moosejaw will reward you with 1,000 Moosejaw Reward Points. Save big when you shop in the sale section. Every so often, Moosejaw will offer a $10 coupon for filling out a survey on their site. If you’re looking to outfit a group (10 or more people or an order size of $1,500+), check out the Moosejaw corporate & group sales page to get a quote. What is Today’s Best Moosejaw Promo Code? The best Moosejaw promo code right now is MJ30. This code is for 'Get 30% Back in Rewards on All Full Price Orders'. Copy it and enter it on the Moosejaw checkout page to use it. Free standard shipping to the United States is available on all orders that are $49 and up. Orders over $199 ship for free to Canada. Moosejaw offers a lifetime return policy on all items that are unused and in resellable condition.